The Legend of Zelda: Majora's Mask is a creepy game, and Donnie Darko is a creepy movie. Someone decided to mash the two together. The result? Well, it's creepy. 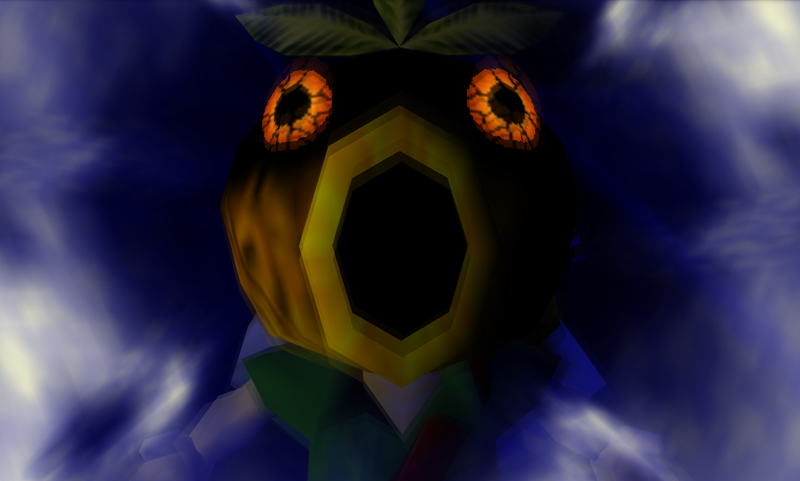 Jeff Keeling took the audio from the Donnie Darko trailer and layered it over various scenes from Majora's Mask. Not everything works—the dialogue bits fall flat—but it hits more often than it misses. What I wouldn't do for a Majora's Mask animated film, you know? Something dark and weird? There's an alternate universe where director Tim Burton (back when he was making good movies, obviously) made an adaptation in the mold of The Nightmare Before Christmas.